205 Live General Manager Drake Maverick announced that Cedric Alexander will defend the WWE Cruiserweight Championship against Drew Gulak at SummerSlam on August 19th. "We have a WWE Cruiserweight Championship match set," Maverick said. "It will be the best submission specialist Drew Gulak challenging the champion, Cedric Alexander. 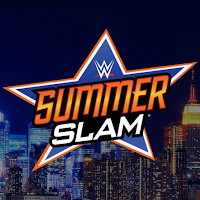 I am proud to announce that the match will take place at the biggest party of the summer in Brooklyn, NY at SummerSlam." WWE SummerSlam takes place on August 19th from the Barclays Center in Brooklyn. Click here for the updated confirmed card for the event.